Etawah is one of the famous cities of Uttar Pradesh for his Handloom Products. It has 81.75% literacy rate which is higher than the state average of 67.68%. The city boasts many Post Graduate colleges, Medical Colleges, Sports University and English Medium Schools etc. to give modern and quality education to the students. Technical education is the important part of modern studies. Now students want the study that provides them employment as well. ITI’s or Industrial Training Institutes provides training over 130 trades to the students both technical and non-technical. They give NTC (National Trade Certificate) to the students. 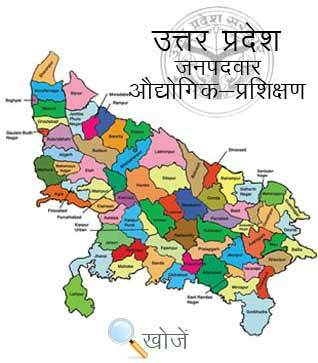 Vyavasayik Pareeksha Parishad (www.vppup.in)in the state of Uttar Pradesh is responsible for conducting the entrance examination for admission to various trade courses in ITI’s. The city has 4 Govt. ITI’s and 4 Private ITI’s. After completing training, students have a choice to go to the job or start their own business. Timing duration of these courses is 6 months to 2 years. Minimum 14 years age is required along with Matriculation as the basic qualification. Admission starts every year in August. Aspirants can visit www.upiti.in which is an online portal that offers all the latest information to the students regarding admission to various courses in ITI’s, online downloading of application forms, results, admit cards etc.